Don’t be deterred by the annoying cover – this book is excellent! Nancy Werlin recommended Chime to me way back in the fall when I met her at the Boston Teen Author Festival. I was one of those insufferable young aspiring writers who blabs about her work-in-progress to patient authors, and I knew that Werlin had written some YA novels inspired by just the sort of faery lore which was also inspiring me. 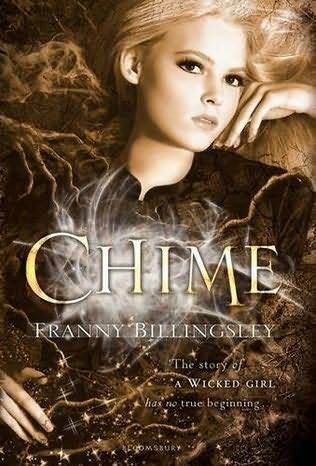 She was kindly encouraging, and one of the first things she asked upon learning that my faery story takes place in a swamp was, “Have you read Chime by Franny Billingsley?” I had not. I was told that I must. I believed her. Then I promptly forgot all about such instructions and only sat down with the book months later when I needed something gloomy, youthful, and uncanny. There was a small void in my reading life, waiting for a natural tale of unnatural creatures, and Chime filled that void perfectly. I didn’t have particularly high expectations of this YA novel: only that it would be swamp-y and contain faeries. Well, it completely passed those moderate expectations – blew them out of the murky, slimy water, as it were – and then some. 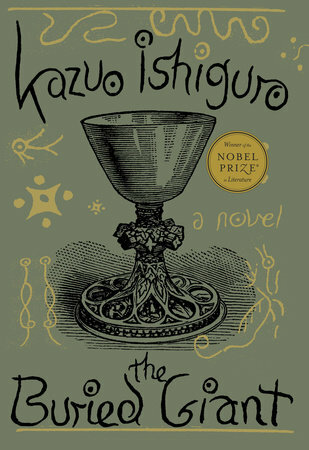 This was a truly remarkable novel. I’m wildly impressed with Franny Billingsley, and have a mind to track down all her other books so I can get lost in them, too. 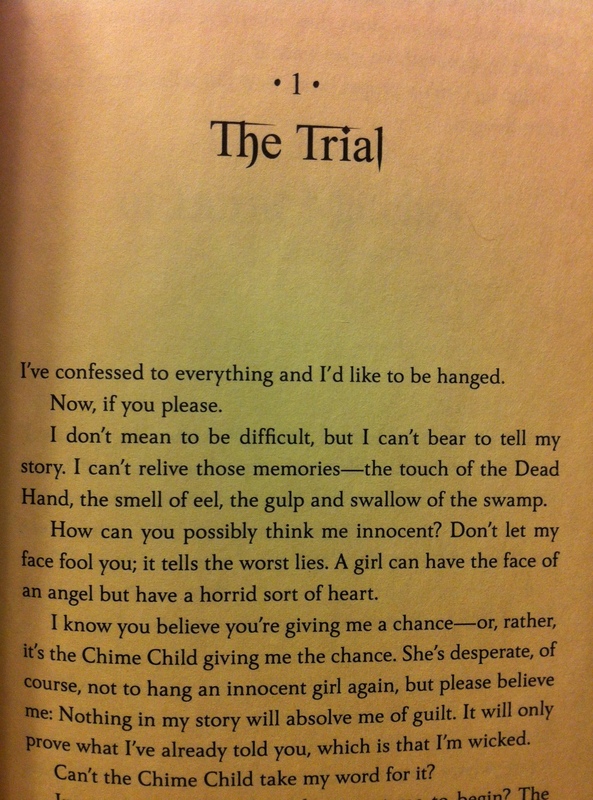 Chime is Briony’s story, and Briony would like to confess to her crimes and be hanged. It’s one of the more interesting opening pages I’ve come across in my reading life. Hangings? Swamps? Wickedness? Sign me up! From here Briony tells us, in her own words, the events leading up to her trial. It’s sometime around the end of the 19th century, and the secluded English village of Swampsea has been living in tandem with some supernatural neighbors for ages. The townsfolk have a special method for trying witches, to ensure that they don’t hang innocent women, but lately the Chime Child responsible for making that judgement has been making mistakes in her old age. Anyone who wanders into the swamp carries bits of bible paper with them, as protection against the faery-like creatures who dwell there. The “Old Ones” range from mischievous nature spirits to the downright malevolent entities like The Dead Hand. A deadly swamp cough troubles the town, and people live in fear of the “Old Ones,” though they’ve grown used to living beside them by now. And yet, as it always does, progress has finally made its way from London to Swampsea. Mr. Clayborne comes to drain the swamp, bringing his son Eldric with him from London in the hopes that the University lad might stop getting into trouble and attend to his studies in less invigorating environs. Swampsea is going to get a railroad. Swampsea is going to join the fashionable and modern world. Unfortunately, those spirits and creatures who dwell in the swamp aren’t too pleased about these new developments. They need someone to hear them, to side with them, and stop the process. Or the Boggy Mun will keep inflicting the swamp cough on innocent townsfolk, like Briony’s sister Rose. Briony is the Parson’s daughter. She is also a witch. She admits that to us from the beginning. There’s no point in hiding this fact, and she’s grown comfortable with the wickedness which must then be an inherent part of her being. She’s always been able to see the Old Ones, but it’s her ability to call them up to do her bidding which makes her capable of destruction. Swampsea, in all its superstitious vigilance, does not take kindly to witches who can summon the Boggy Mun to flood the parsonage and incapacitate her beloved stepmother. There’s not a lot of sympathy in the village for a girl who caused her twin sister to fall, hit her head, and lose her wits when Briony was a child and couldn’t control her powerful urges. Briony’s stepmother understood. She helped Briony to hide her power, kept her from entering the swamp, and always repeated that they must never, ever tell her father, who would feel obliged as the Parson to turn his own daughter into the authorities. But their stepmother is dead, and there are blank spaces in Briony’s memory. Was the fire, which burned up all the fairy stories she used to write for Rose, really Briony’s fault? If stepmother didn’t take her own life with arsenic, who killed her? What mysterious illness afflicted their entire family when they were children, but not anyone else in town until Eldric comes down with it, too? What terrible secret is the addled Rose trying to convey to her twin sister – some secret about their birth which she was forbidden to tell long ago? The more we learn about the answers to these questions, the less sure we can be about anything in the natural and unnatural world of Chime. If Briony can’t trust herself, let alone anyone else, who can we turn to for the truth? You will want to read this book and find out, I promise you that. The story is wonderful, but the writing is even better. Each time I’ve recommended the book, the only way I can describe the beauty which Franny Billingsley weaves into each paragraph is by saying, “I want this tattooed on my face.” That wouldn’t be a pretty sight, and I probably won’t get lines from the book going across the bridge of my nose, but I can find no better way to express my enthusiasm. There really are some marvellously poetic arrangements of words; the images are occasionally mesmerising; and the dialogue is good, too. Briony’s voice is unfaltering — at no point does the narrative drop into a more generic omniscient tone, which is impressive since Briony’s thoughts are always twinged with guilt and colored with distrust verging on desperation. The narrative is so personal but also requires some careful exposition to get us comfortable reading about the freaky swamp and unusual customs which seem so normal to the characters. Briony has a rather poetic thought process, herself. While the sing-song formulas and imagined patter might seem out of place at first, it quickly becomes clear that our conflicted narrator draws upon these literary formats to distance herself from the serious (and deadly) concerns hiding behind her wordplay and hypothetical conversations. She compares Eldric to a lion, herself to a wolf-girl, and has metaphors on hand for whomever crosses her path (human or not). This could have grown tiresome very quickly, but I think that the technique was employed just shy of over-zealously, and therefore it worked out beautifully. Remember that Briony’s a teenage girl, and that’s the time when we think of everything as our own personal fairy-tale. It was an absolute pleasure to read every page of Chime. Not a word was wasted, not an image used uncertainly, and I could picture every strange event quite vividly. Whatever magical power Ms. Billingsley has over language, I’d make a few blood sacrifices to get a taste of it, myself. My complaints about this book are very few and not too consequential. I don’t really like the title; it doesn’t have much to do with the majority of the novel. But it’s not a big deal, the title isn’t horrible. It just doesn’t hint at the general swampiness, the creeping sorrow, or the sharp dialogue which I enjoyed so much. On that note, the Chime Child and some of the other minor characters weren’t as fleshed out as maybe they could have been. There is so much going on below the somewhat-puritanical surface of Swampsea, and I wanted to understand every single secret. Secrets are the whole point of Chime; how they can control us and turn us into something we’re not. But most characters’ stories are pretty much left alone, unless they have anything directly to do with Briony’s. I suppose that’s only fair, but I hate it when my curiosity isn’t satisfied. The Chime Child only makes a few appearances, despite the incredible cool-ness of her job description. Seeing “Old Ones” and dealing out death sentences: what a lady! I wish there had been a few pages dedicated to such details, as well as to the other characters who made Swampsea such a fascinating stage for this story. There’s also the question of romance. Eldric is staying in the Parsonage with Briony, Rose, and the girls’ father. It’s not too surprising that things must escalate for the sake of the story. I’m pleased to report that Briony and Eldric start out by developing an honest and entertaining friendship, forming a secret brotherhood and starting inside jokes just because they’ve been thrown together by circumstance. He’s a city boy, and lives life at more her speed than anyone in her own village, so I didn’t find their interest in one another too forced. What a damned relief! My one complaint on the matter would be the sudden inclusion of another woman after Eldric’s affections. The fashionable lady who is drawn to his artistic endeavours and starts turning up everywhere has a mysterious secret which makes her a little more interesting, but on the whole I thought her character was mostly unnecessary. Jealousy made Briony catty rather than sharp, but even though this may have been an important layer to her character, the dangers presented by beautiful, manipulative Leanne weren’t nearly as interesting as the dangers presented by the swamp, the townsfolk, and Briony herself. The matter was resolved satisfactorily, but it was probably my least favourite part of the book. Those tiny issues aside, though, I will reiterate that I absolutely adored Chime. It’s just the sort of book I was wanting to read: intense and dark, but without the oh-help-the-world-will-end-if-we-don’t-save-it drama. The drama here was powerful because we care about the characters and don’t want to see their lives turned upside down. The rest of England — indeed the rest of the world — would go on without Swampsea if it had to, but that’s one of the many reasons I was so desperate to find out what would happen. Magic isn’t always big and grand, it can (and should) be organic and subtle, earthly and timeless, with roots in one strange scene. Chime gets this just right, on every single page. The murky swamp and the dark corners of the town are each fraught with peril, and our narrator’s mind hasn’t much more hope, but in the end most mysteries will come to light. What these answers might reveal about our heroine, her family, and her conviction in her own wickedness must remain to be seen. Read the book to find out. It’s beautiful and you’ll probably love it.